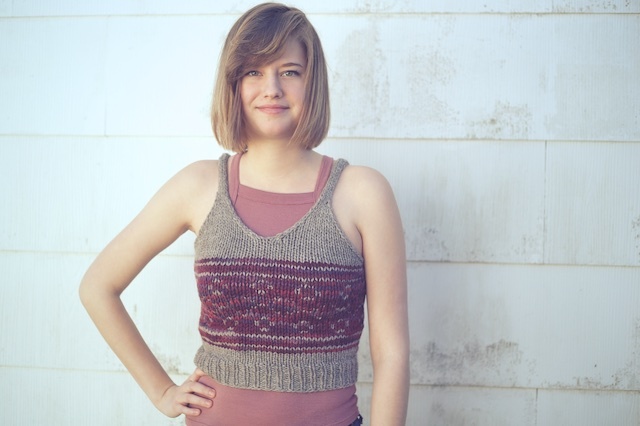 This is the Innisfil Cropped Tank from the recently self-published Good Night, Day knitting book. 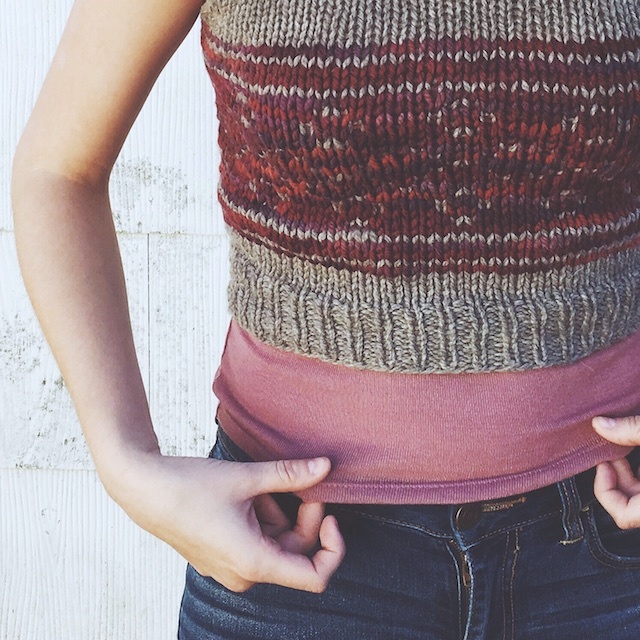 Remember how I've knit a bunch of these patterns? 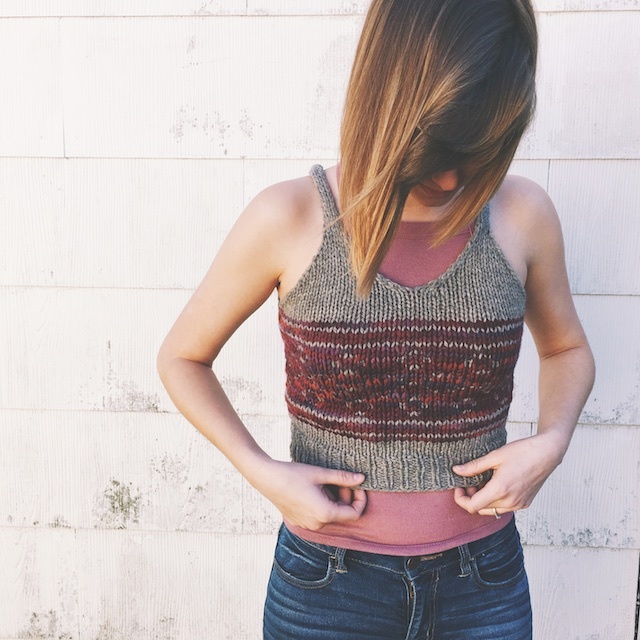 Well, this was one I knit for my daughter but hadn't had a chance to photograph on her until yesterday. We grabbed lunch at a local cafe and found some shade by an old garage to create some evidence of what I'm doing in 2015. The fact that it's now 2016 doesn't bother me a bit. 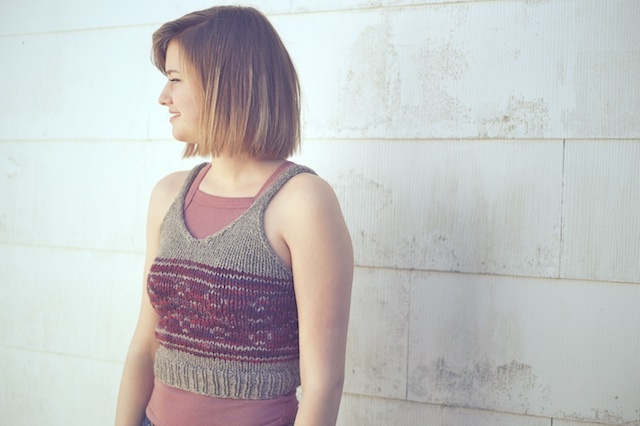 I love this tank in thick and thin cotton yarn. It has an Earthy ease about it. 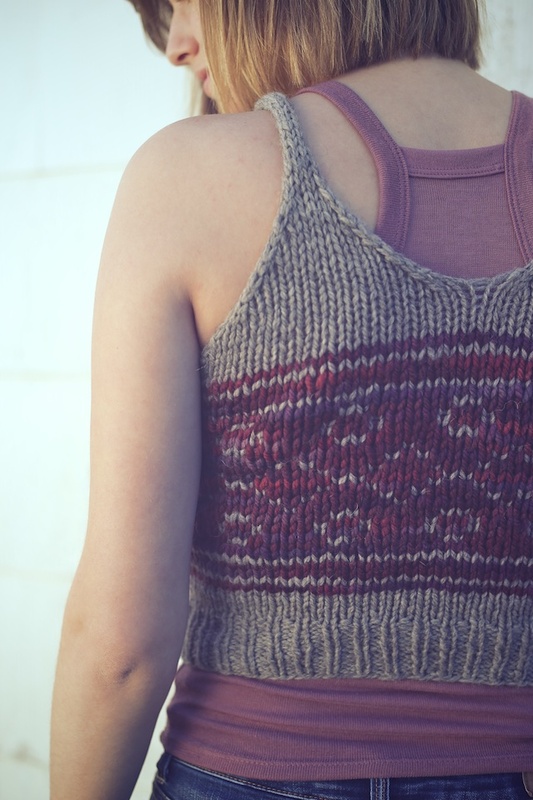 I think it would look beautiful knit in Araucania Liwen, like this sweater I knit. But Liwen is discontinued. Even more wearable for me would be one knit in Asian Trends' Lecco, like my Belleville Shawl. Again- discontinued or out of stock everywhere. I'm wondering why there are fewer thick and thin options. The most beautiful cotton yarn I've found for this knit is from Be Sweet , but it's a little pricey for 3 skein's worth. So, I'll probably throw in some Tahki Rosa next time I place an order with Webs instead. 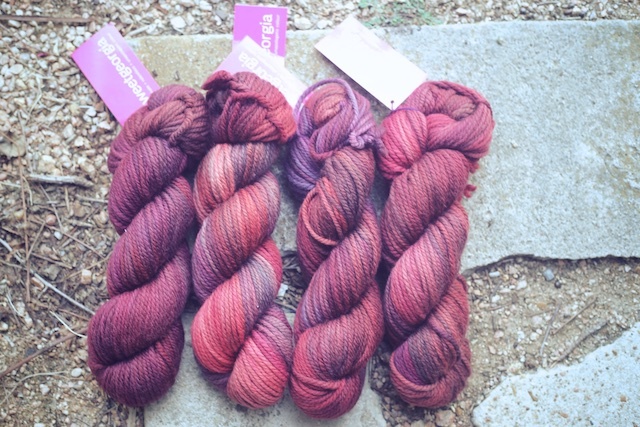 Rosa is an okay substitute, it just doesn't have the same twisted/ plied look of subtle art yarn. But I could certainly use it to make warm weather versions of a couple more of Tara-Lynn's patterns. Then it won't matter that I didn't get my own version before winter, because it will be wearable year-round. Details: I wanted to test this one quickly, so I went with some bulky Cascade Eco and the last bit of my Sweet Georgia bulky (also discontinued) on size US10 needles. Since I was using a lighter weight yarn, with less visual interest, I decided to throw in a roughly sketched Fair Isle pattern. It is very rough , friends, I know. And it doesn't show too clearly when worn, and because of the tonal yarn, but it was fun to try something new like that. I could totally see making another with more ease and a better colorwork motif later. So, it's not at all perfection, but think of it as inspiration. Besides the colorwork, I made no modifications to this design. I knew the top would come out more fitted and with a thinner shoulder strap, though, because my yarn was less bulky than the pattern calls for. I thought it would be fine for my daughter, who likes my knits and looks great in more fitted clothing. And I think it looks cute on her. For mine, I would definitely want more ease and coverage. 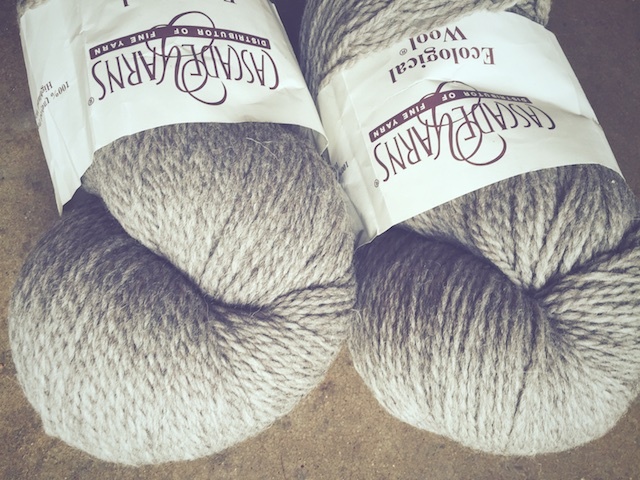 I'd also prefer a cotton version, in thick and thin yarn, over the Fair Isle. 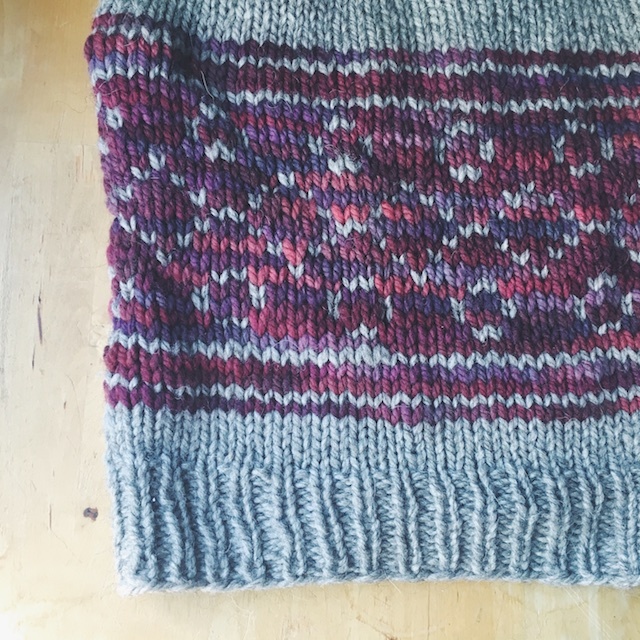 Have you guys ever tried adding a little Fair Isle to your knits before? Did you wing it (like me), use graph paper, or do something high-tech on the computer that would make my brain zone out if you told me about it? I'm interested. If you have, please link to your Rav page, blog, or whatever so we can see.